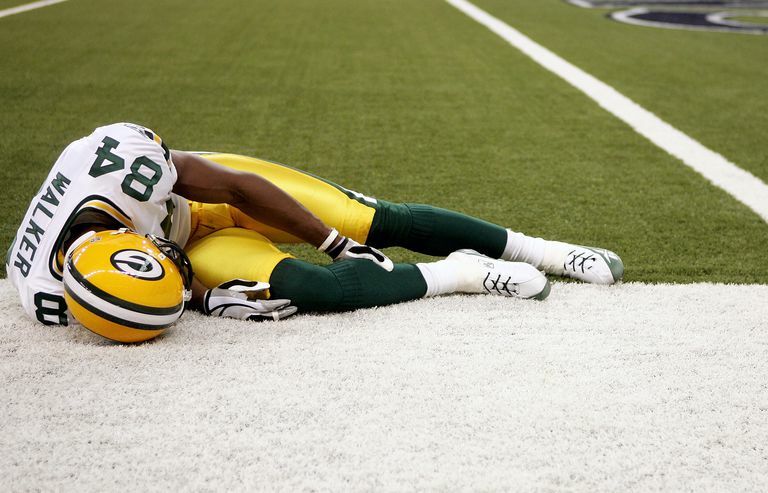 Are We Trading Concussions For Leg Injuries? The sports medicine world has been largely occupied with research, treatment, and prevention of concussion injuries. Over the past few years, we have become increasingly aware of the seriousness of concussions and the possible long-term implications for brain health. As a result, new protections and procedures have been developed to prevent these potentially career-ending injuries. However, one of the consequences of these changes in sports may be a rise in other types of injuries, specifically those involving the knee and ankle joints. It is very clear from the data reviewed that concussions are being diagnosed much more commonly. In fact, in the past six years of NCAA data of football players, the number of concussions diagnosed has risen 34 percent. Interestingly, this is during a time in which significant restrictions have been placed on athletes in an effort to prevent head injuries. The reason the number of concussions has increased is likely related to dramatic changes in awareness and diagnostic capabilities. A decade ago, athletes who sustained head injuries were often not diagnosed with a concussion injury, whereas much more subtle concussion injuries are now being diagnosed. It's very difficult to know if there has been a change in the actual rate of head injuries given how we diagnose and manage these injuries has changed so dramatically in the past decade. Beginning in 2008, the NCAA put into place restrictions on how football players could engage opposing athletes, and they assessed penalties for hits to an opposing player's head, or leading with the head to make a tackle. In addition, some specific high-risk activities, such as kickoff returns, were changed to lessen the likelihood of injury. These restrictions were expanded in 2013 to eject players who failed to comply with the regulations on hits to opponents. Over the same time frame (2009-2015), the number of leg injuries resulting from contact has increased by almost 20 percent. This does seem to be the result of changes in the way players are contacted while playing football, as the number of overuse types of injuries of the leg has actually decreased over that same time. Some people looking at this data have suggested that the changes in the way players tackle are the cause of the increase in leg injury rates. Common injuries that can occur in the knee and ankle include ACL tears, other knee ligament injuries, ankle sprains (including high ankle sprains), and ankle fractures. These injuries often cause missed time from athletic participation, can lead to lack of return to full athletic activity, and may lead to a higher chance of developing arthritis in the knee or ankle later in life. First, we are learning a lot about concussions, we are better managing concussion injuries, and we are recognizing when athletes sustain these injuries to the brain. Second, one consequence of concussion prevention may be that we are changing the way that football players tackle, and therefore other types of injuries may increase. This is one single review study, and it certainly doesn't prove anything, but the data does show some interesting trends. While head injuries are clearly serious, knee and ankle injuries can also have long-term consequences. This is not to suggest that we should roll back protections to prevent concussions, but when changes like these are made we need to understand if there are possible unintended consequences. If there is an increase in knee and ankle injuries, we should consider how we might further adjust rules of the sport to protect the entire body of the athlete. Some may suggest that changes in rules fundamentally change the nature of the sport. I'm not trying to debate that, but there is clearly a role for collecting data to better understand how we can protect players. While no sport, especially an aggressive contact sport like American football, will occur without the risk of possible injury, it is in the best interest of the sport, and the athletes competing, to create an environment that minimizes the potential for all types of injury. Pollack P. "Fewer Concussions, More Leg Injuries?" AAOSNow. May 2016.